I've seen some fabulous interpretations of the picture at the Paper Smooches Sparks challenge this week although I struggled with my own idea. It required some masking that I just could not get right but I wanted to get an entry in so I abandoned the original and went for a simplified version. 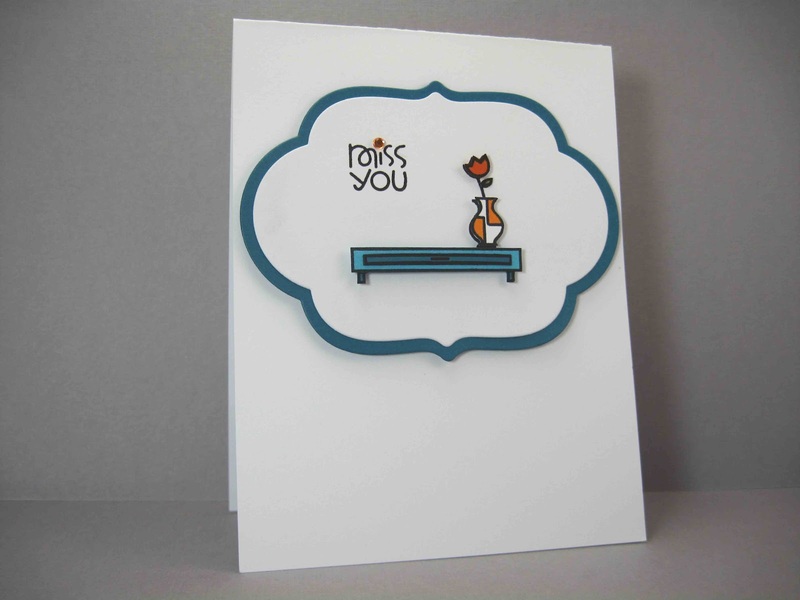 I was inspired by the colours and the little vase on the piano and I used stamps from Vogue Abode and Perky Plants. I'm also going to enter this over at Simon Says Stamp's Anything Goes Challenge. We had a pretty lazy morning her as it was pouring outside. Hurrah for water in the tank! We watched some of the festivities on the Thames in England and almost felt like we were there since the weather here was just as bad. :) Hope it clears up for the next two days for you guys! 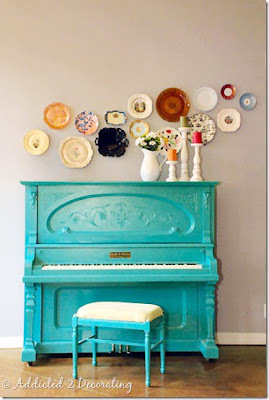 This is a great take on the inspiration - very CAS! I really don't know what your original plan was, but I must say that I really love this simplified card. So crisp and clean. Thanks so much for all your comments on my blog. It was such fun to wake up to them all. LOVE this simplified version, so down to the point, graphic and modern and really, really cool! I have no idea what your original idea was, but I think this one is genius! Love it! This works so well...that simple, tiny little vase is perfect! wow! this is cas perfection! Super fab take on the inspiration!!! Love it Jen! Great colours together and the CAS design is perfect! PERFECT CAS card for the inspiration photo! LOVE! Your interpretation is awesome Jen! Love the sweet little pattern on the vase! I love it! That lonely little vase with its flower curving towards the sentiment...just right :) I haven't managed to play along once since SPARKS changed format - I keep running out of time & forgetting it's not 2 weeks long! Sweet take, Jen - you've got this clean and simple thing down to a science! This is simply lovely. Love that inspiration photo and the colors. You did good again, kiddo. We have rain today, too, which is so rare. This summer gal hates it. 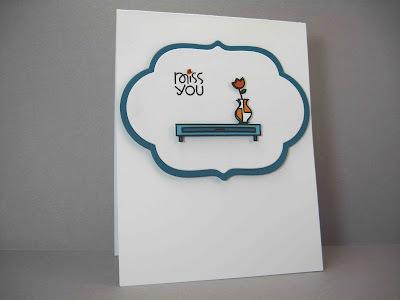 Love this clean and simple card!! 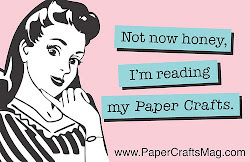 Thanks for playing along with the Paper Smooches Sparks challenge! oh jen, this is pure perfection. everything is just the right color, size and pattern. LOVE it. So pleased you finall got some rain, I'm sure it was a tribute to the Queens Jubilee and the great British weather!!! Love this, I have that set and it's not getting the love it deserves. Eeek, this is CAS perfection. Amazing.